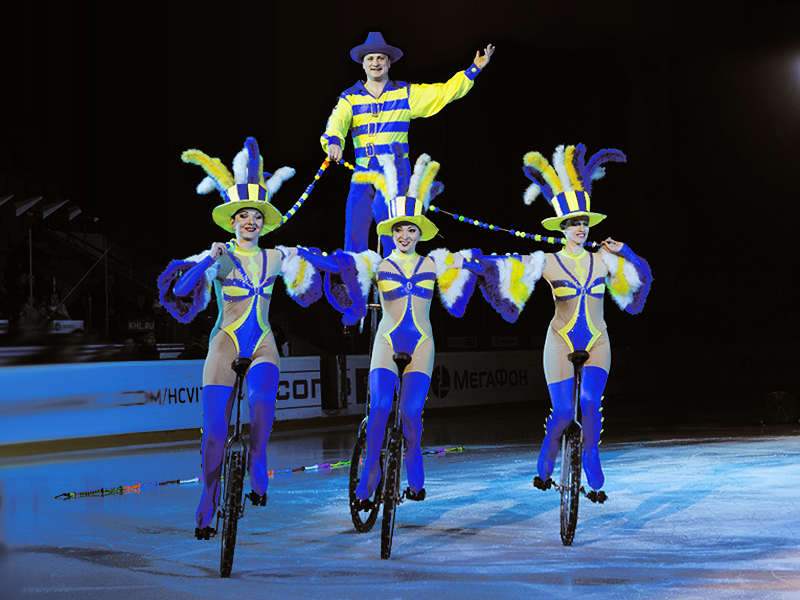 Moscow circus on ice by Natalia Abramova is a troupe of Moscow Nikulin circus on Tsvetnoi boulevard. 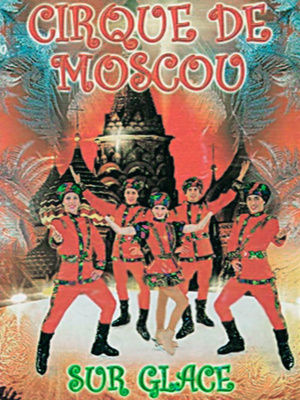 Founded in 1962 by Arnold Arnold. 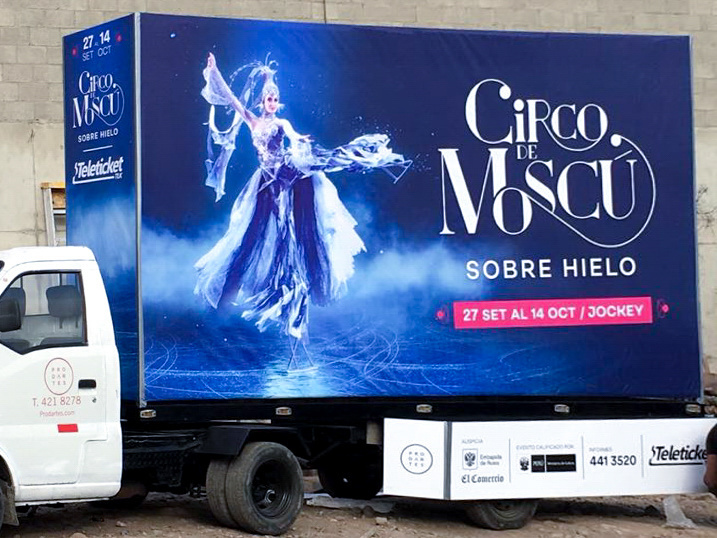 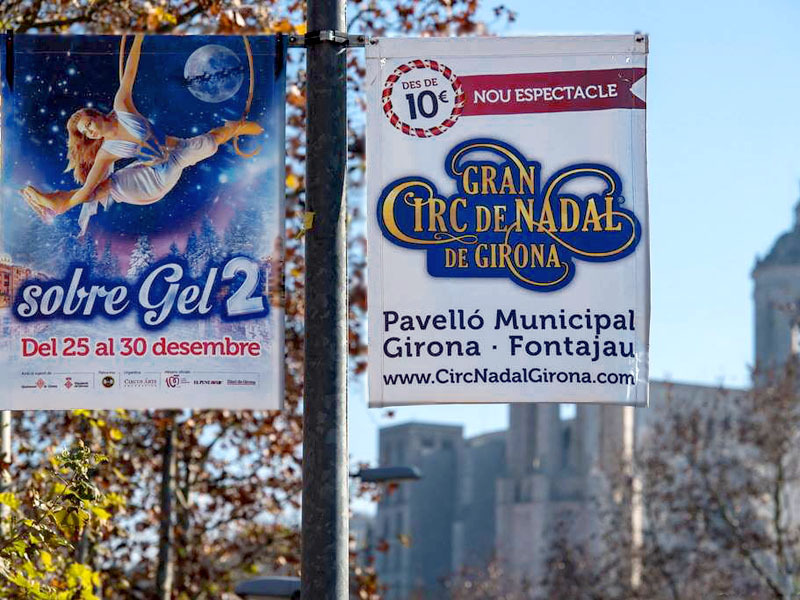 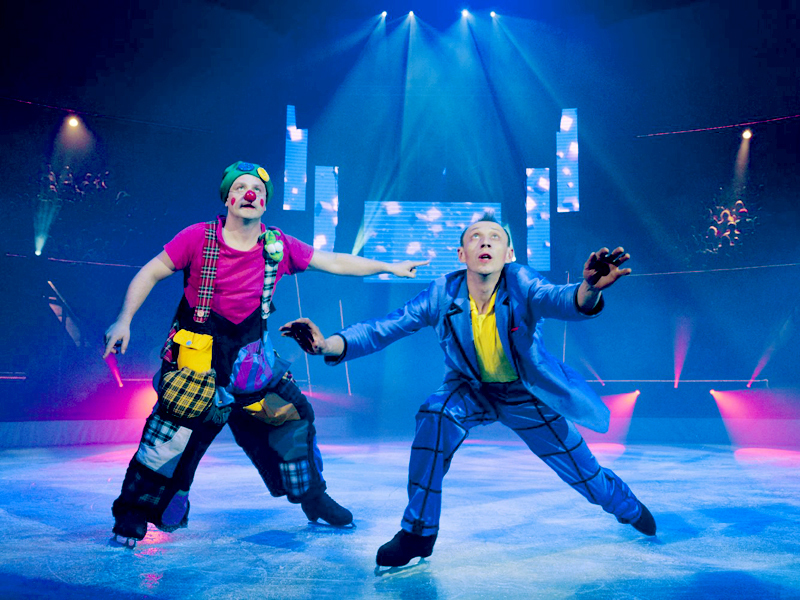 We perform circus shows on ice all over the world. 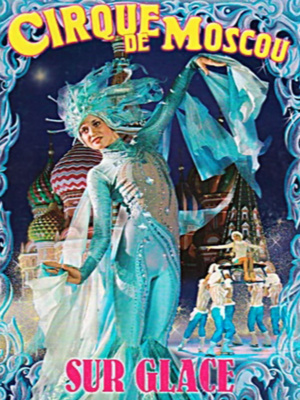 Unique collective, conflating professional figure skaters and circus professionals from Russia and Near Abroad. 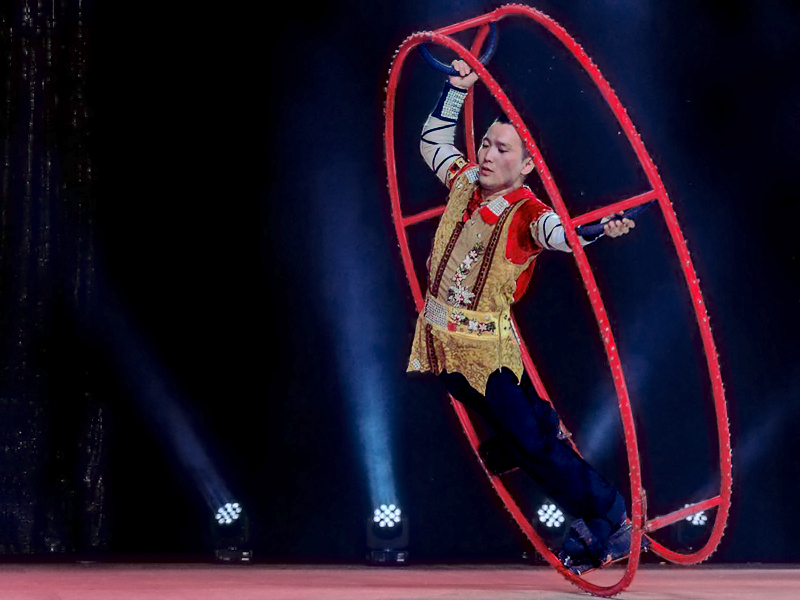 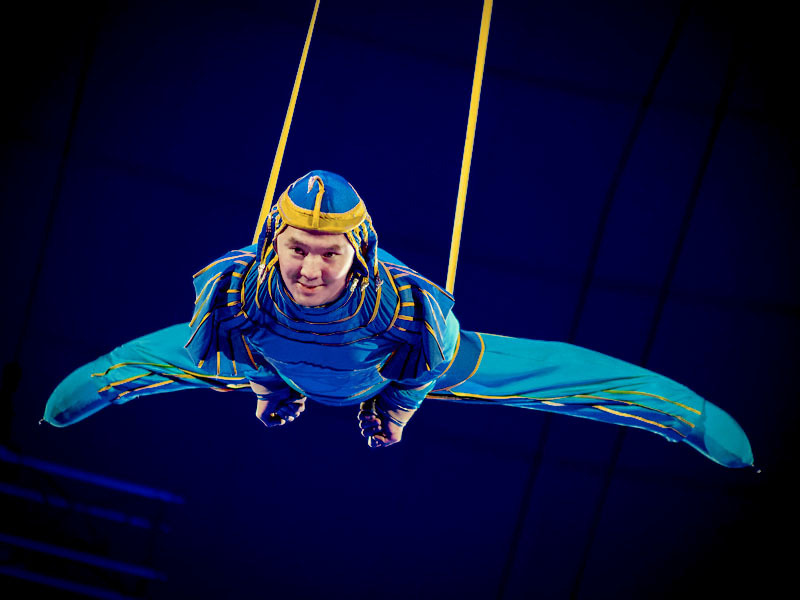 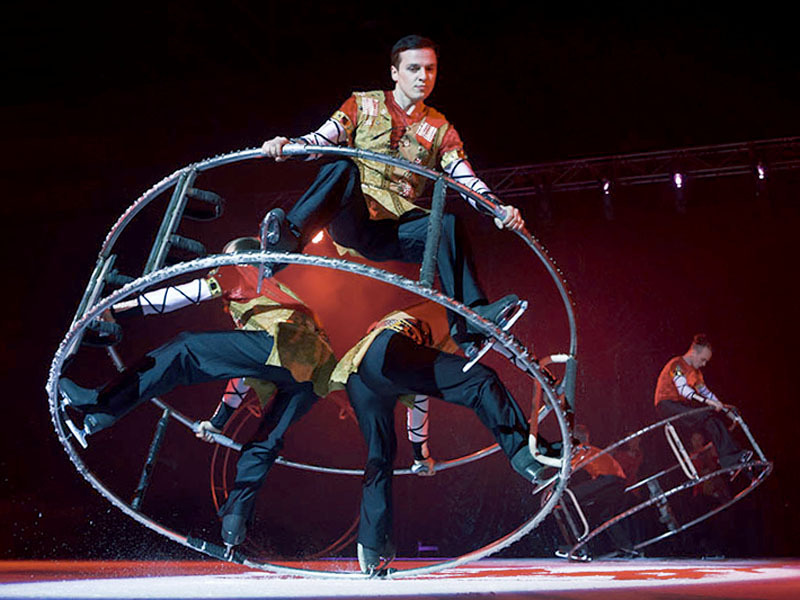 Our shows contain juggling, grims, aerial acts, acrobatic and equilibrium. 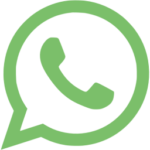 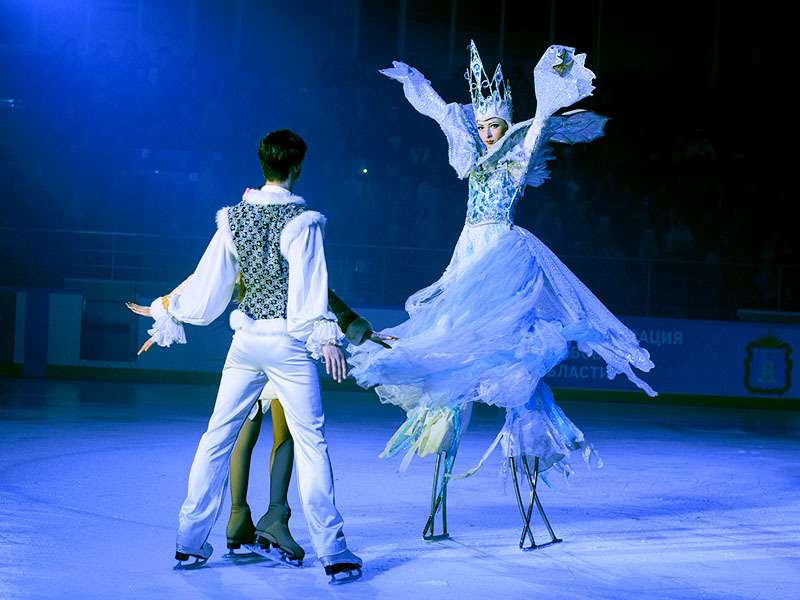 Our experience and equipment allow us to work in a wide range of venues. 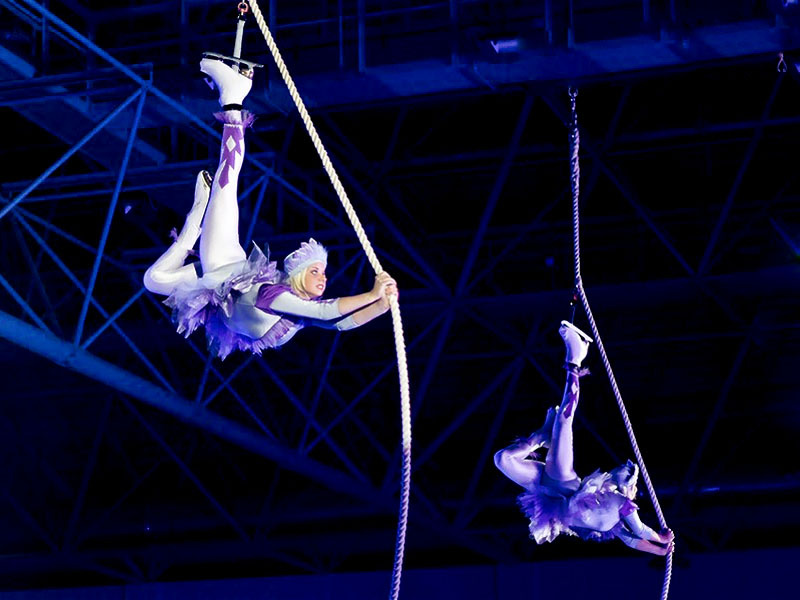 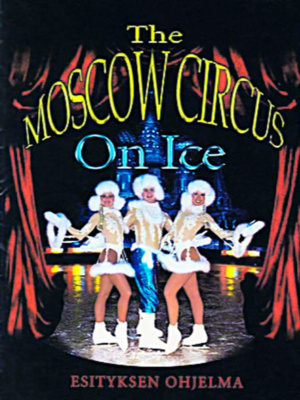 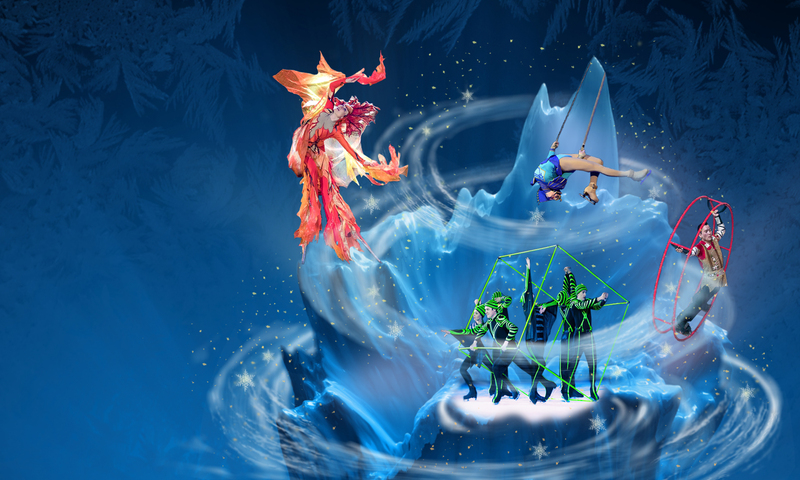 Moscow circus on ice equally qualitative perform on natural, artificial and synthetic ice. 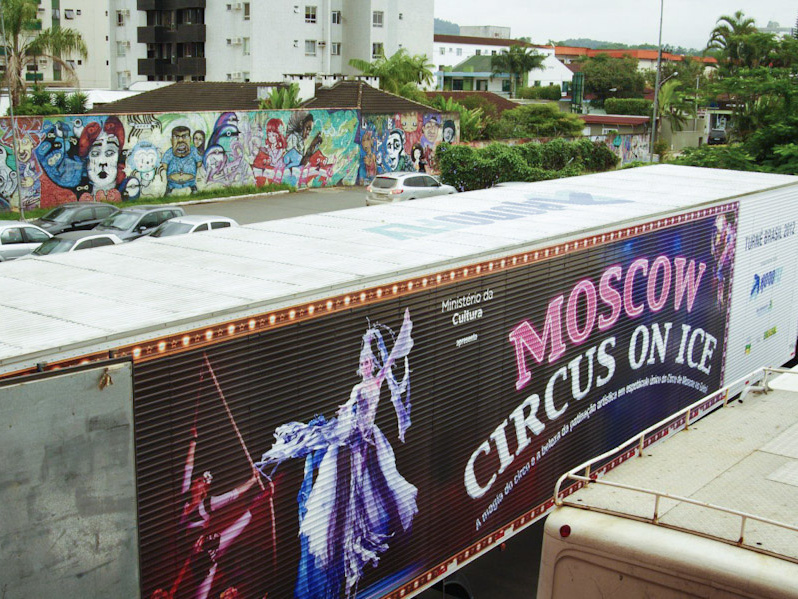 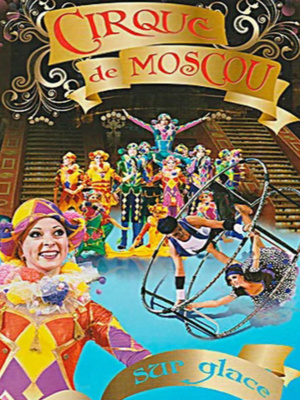 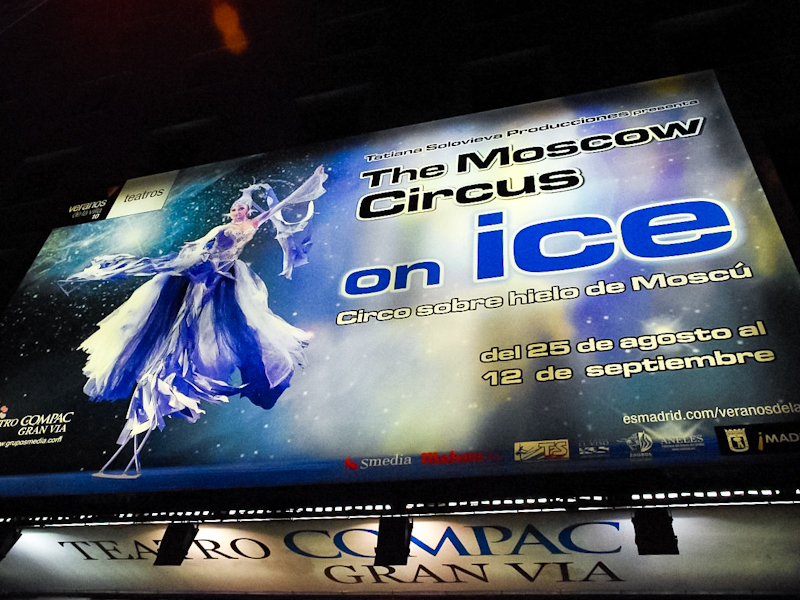 Only in last ten years Moscow circus on ice has visited more than 30 countries with tours. 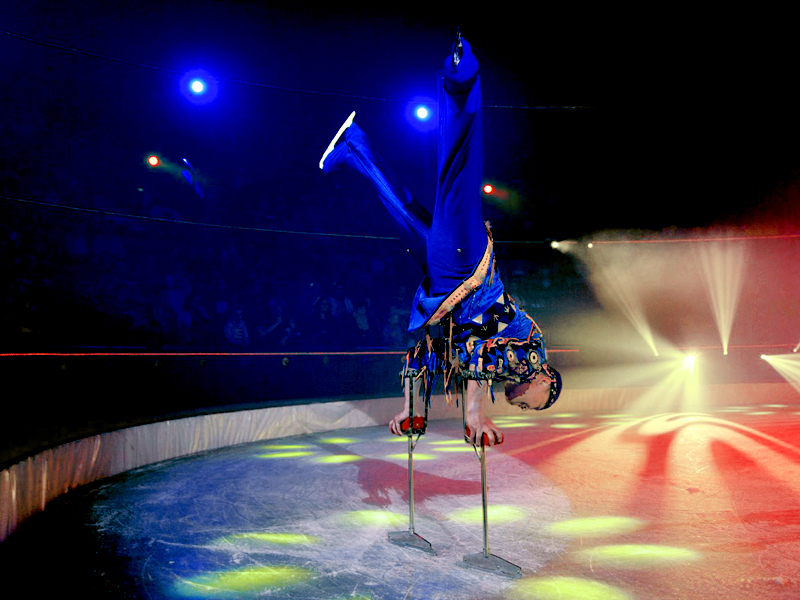 Withstanding competition with ice shows and circus shows, we remain one of the leaders of the world circus on ice . 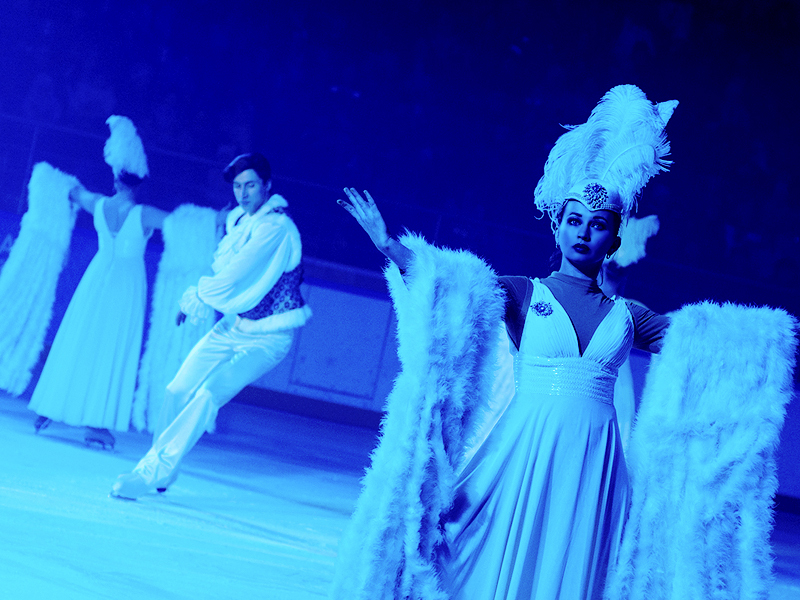 We preserve the traditions of the world’s first circus on ice, from which our team, originates its history. 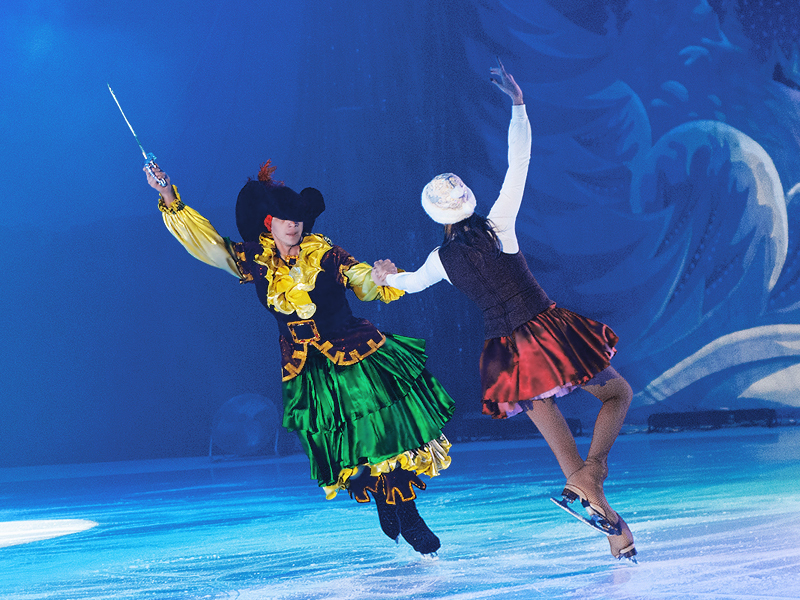 Our shows, whether it’s a winter fairy tale or a divertissement, are distinguished by the color and breadth of the repertoire. 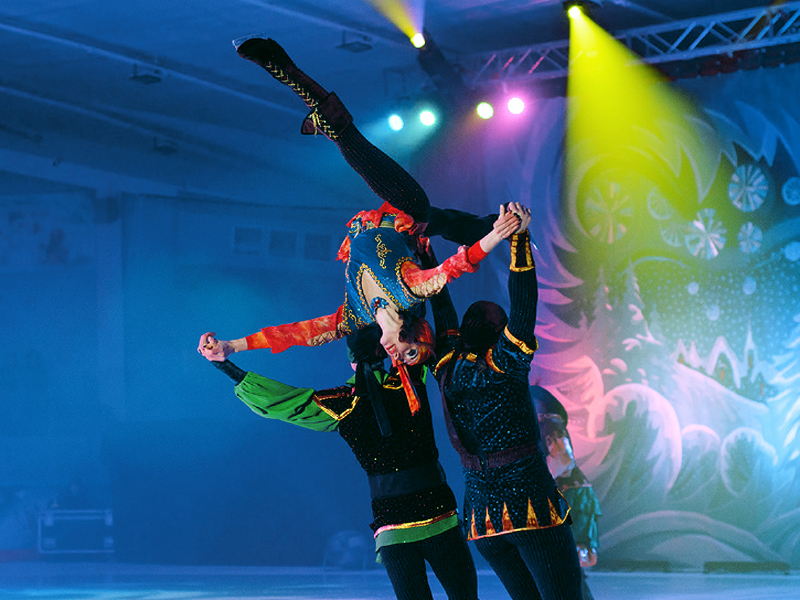 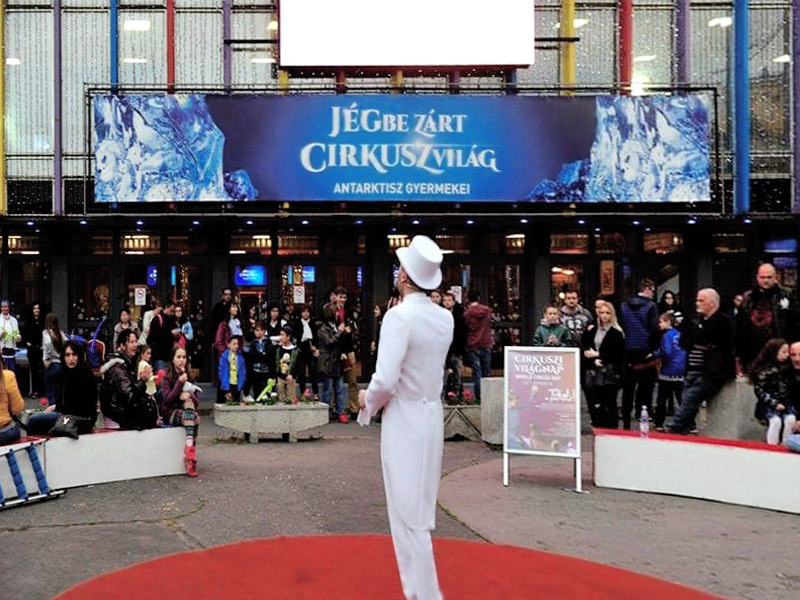 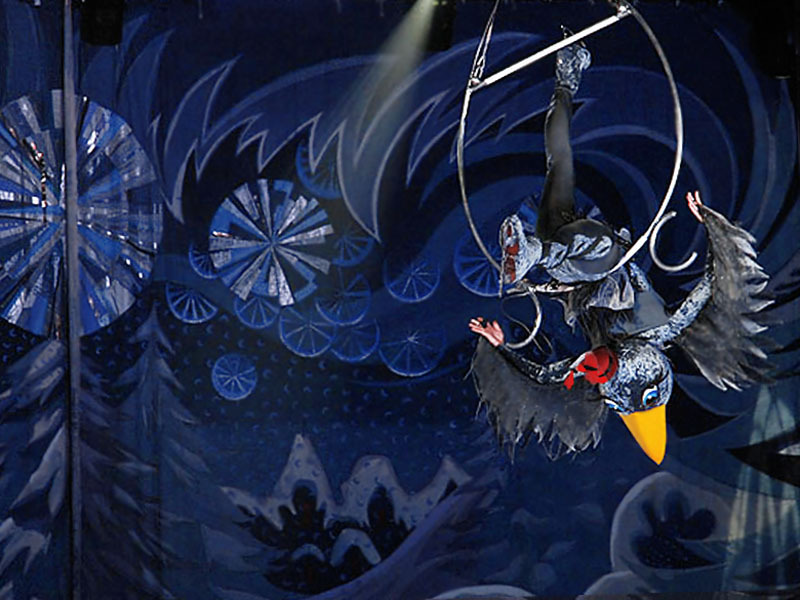 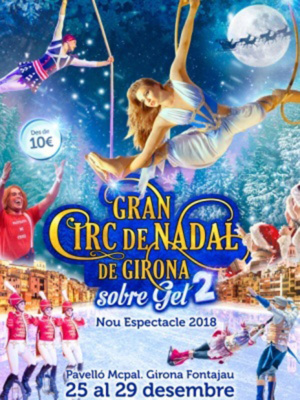 Only we have aerialists, jugglers, clowns and acrobats perform ice skating throughout the performance. 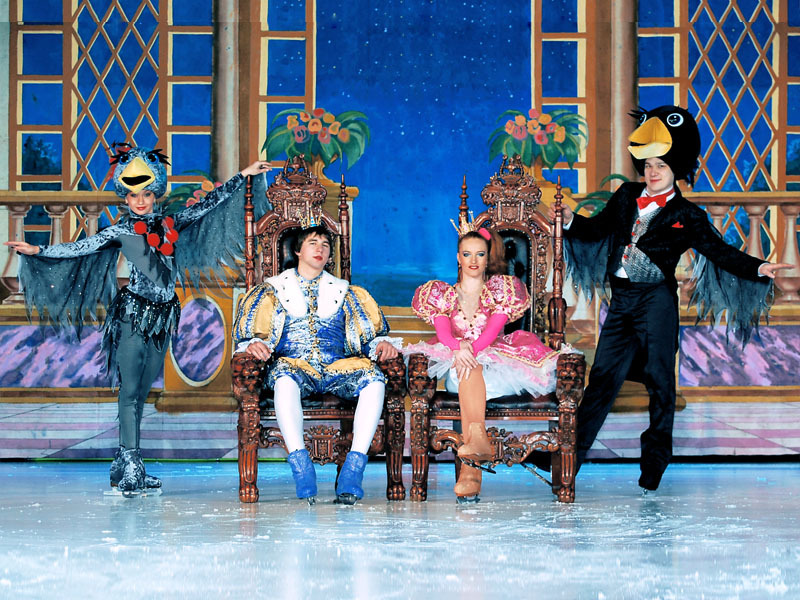 We do not just carry with us more than 150 costumes. 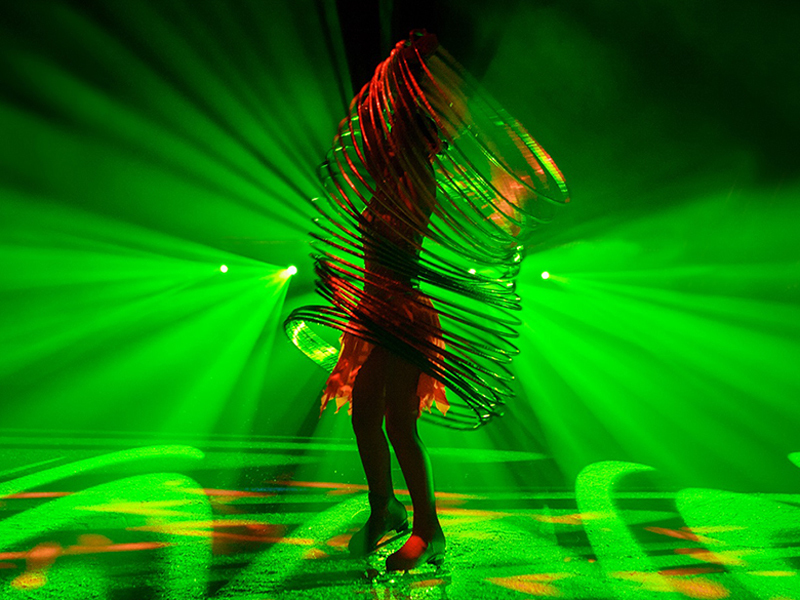 We make sure that every detail is properly artistically illuminated. 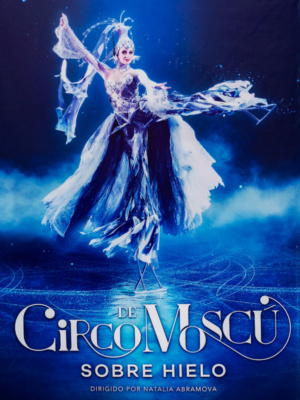 She showed herself to be the leading actress of the first circus on ice even before the end of the first institute. 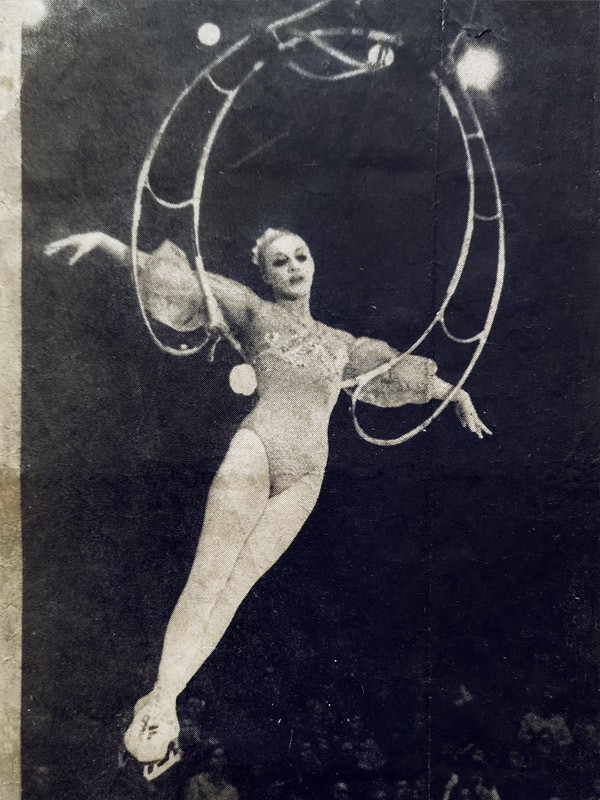 While studying at the second university, she already works at the Russian Center for Circus Art. 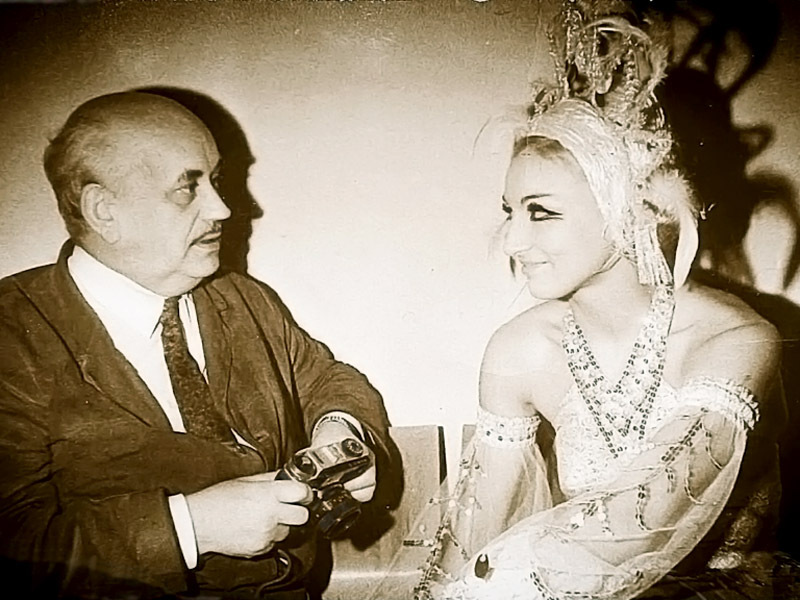 There Natalia is engaged in production of new numbers. 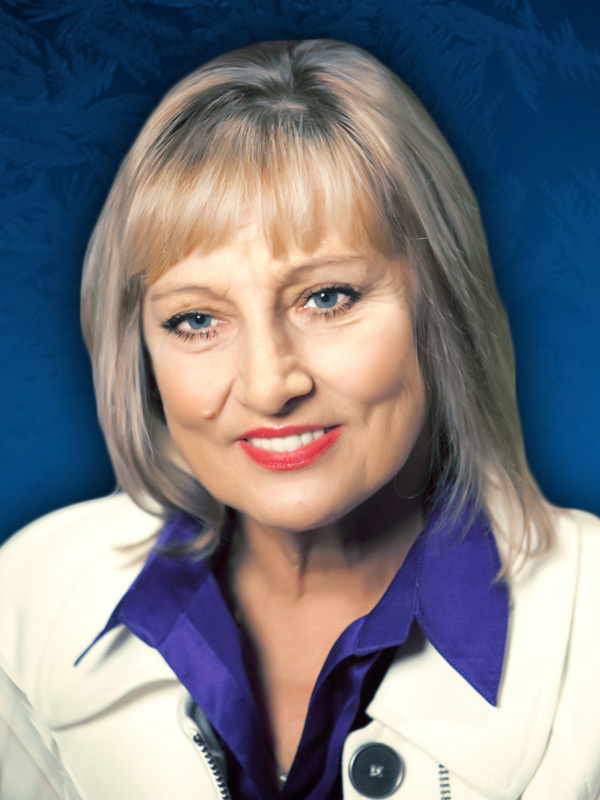 Efficiency and management skills have always distinguished Natalia. 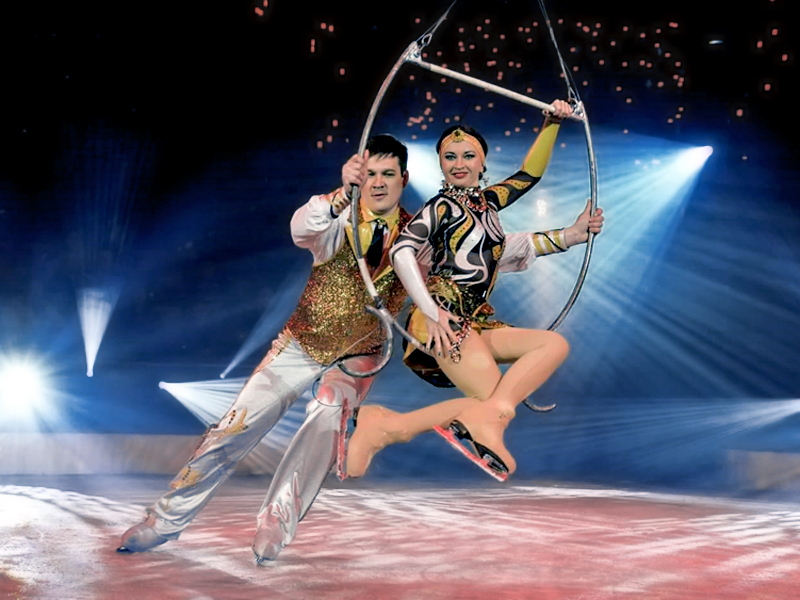 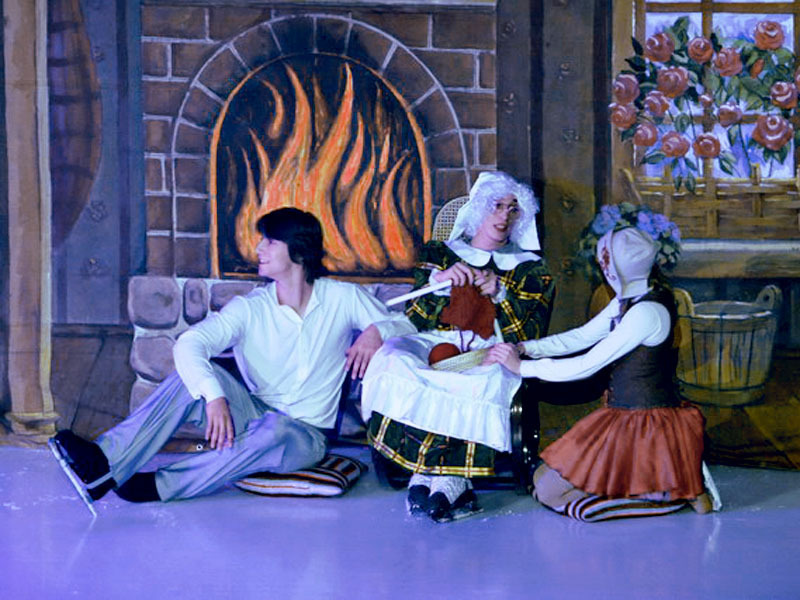 Thanks to them, Abramova is actively promoting the development of the circus on ice in Russia. 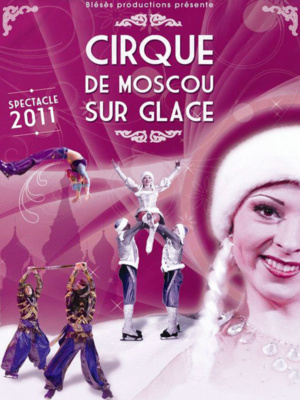 Natalia has became manager and artistic director of the Moscow Circus on Ice in 1999. 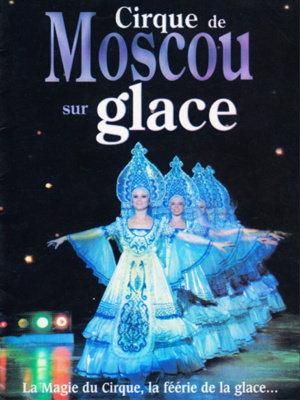 In 2006 she defended the right to use the word “Moscow” in the title. 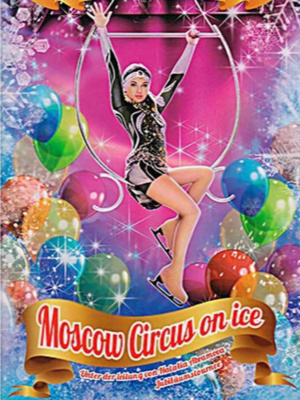 A little later, Natalia Abramova received a European patent on the use of the name and registered the trademark Moscow Circus on ice by Natalia Abramova. 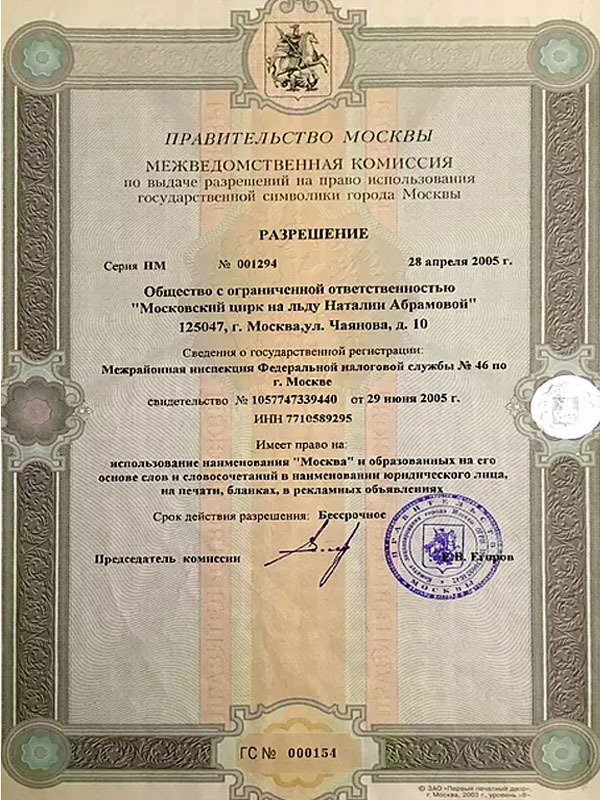 By virtue of merit she was awarded the title “Honored worker of culture”. 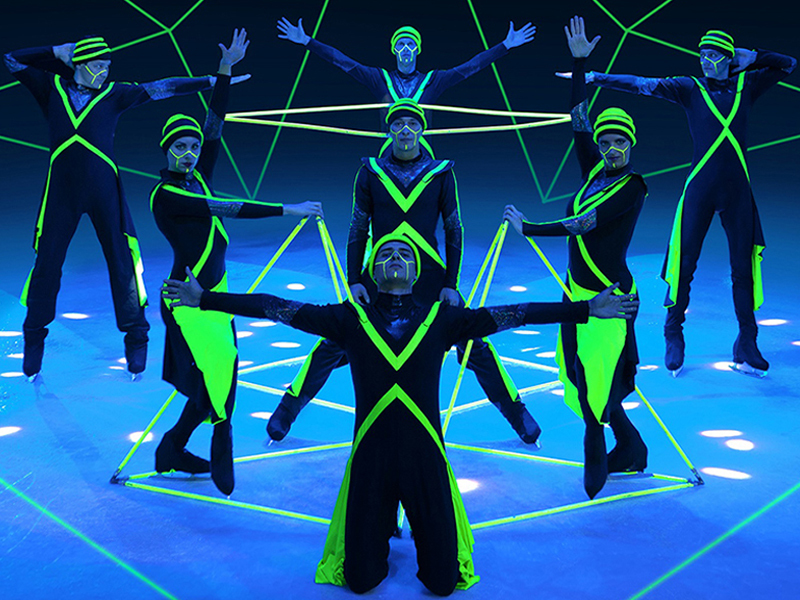 Circus ice show in which each act tells its own story. 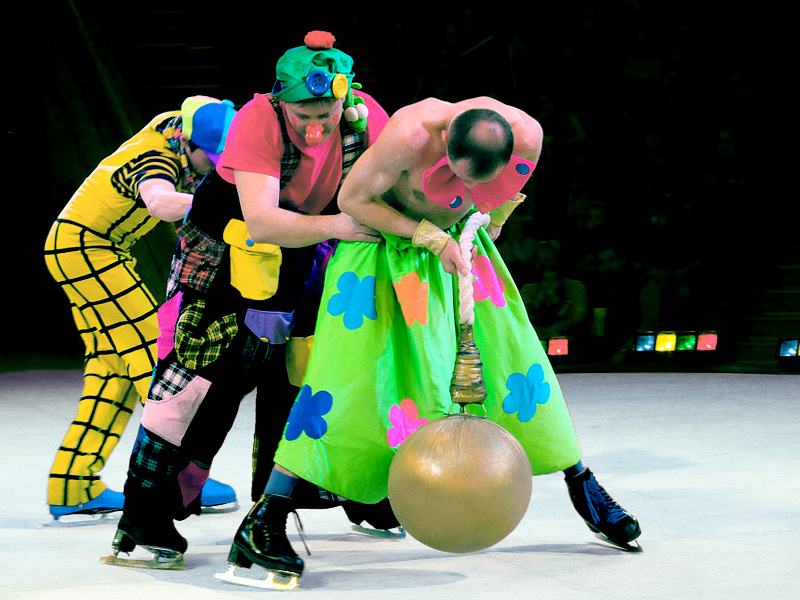 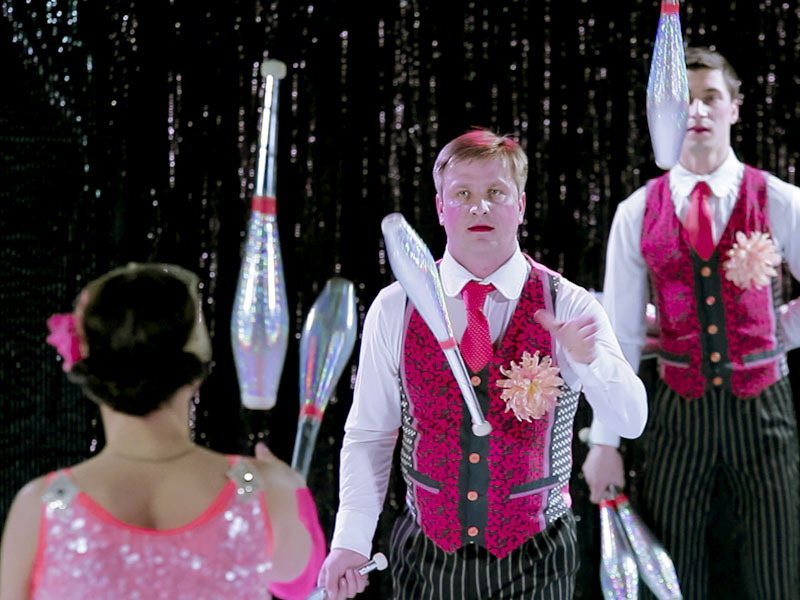 On the ice, jugglers are replaced by voltigeurs, aerial acrobats alternate with equilibrium. 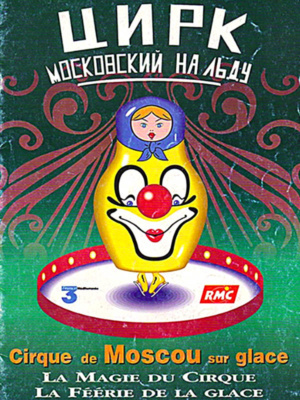 The program is accompanied by interactive clown reprises.